A special thanks to Camp Invention for sponsoring this conversation! I am a huge advocate for getting and keeping kids excited about STEM. My daughter has attended their week-long summer camp for 2 years and we L-O-V-E it! Head over to CampInvention.org for more information. My kids are constantly designing and building new creations. In fact, our house even has a shelf for “new inventions.” When possible, we use recycled materials. Having these materials accessible encourages children to think creatively and problem solve with open ended tasks. An Inventor Supply Lab is a place filled with materials that children can use to design and create their own projects and inventions. Children have the ability to “shop” from these supplies with the only limitation being showing curtsey to others when selecting materials. Aka – if there are 8 really cool wheels, maybe ask around to see if anyone else was considering using them before using them all. 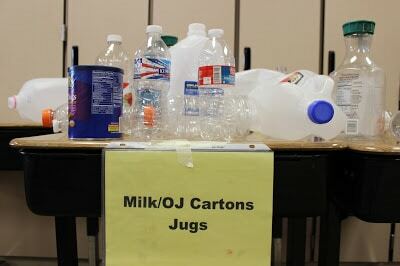 Most often, the supplies are gathered from everyday objects that one may re-cycle. Select a space that is large enough for all of the materials. 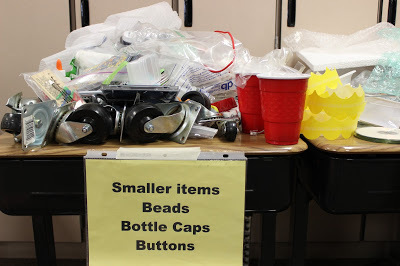 At Camp Invention, an entire classroom is designated for supplies. I don’t have this option in my home or classroom, so we must make do with the space we have. Look around the space you have. Select an area that is accessible to children that can also store a bunch of materials. An open shelved bookshelf with labeled baskets would work well. Amazon Affiliate links to demonstrate shelving choices below. If you are not a fan of having the materials in full view, consider using a space with doors that can close. No matter what you choose, it will be difficult to keep organized, which brings me to the next step. 2. Label each and every compartment or area. If there is not a label for it, it doesn’t belong. At Camp Invention, signs are printed, placed in sheet protectors and taped to the designated areas. You could hand write the signs on 3×5 note cards, purchase cute labels, use a label maker, or write on construction paper and tape. 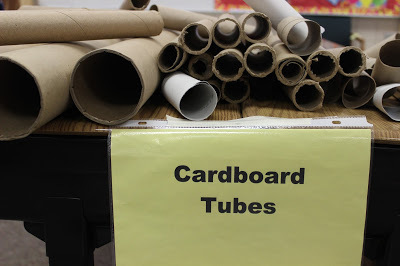 It is not important what the labels look like, it is important that the children can read them and know where to store the inventor lab supplies. 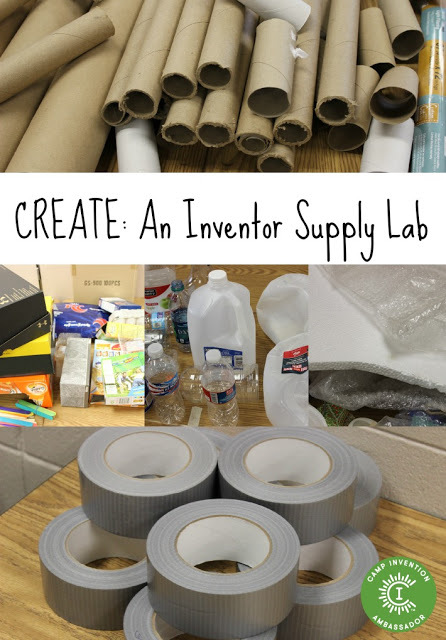 If you are creating an inventor lab in your home, explain the idea to your children and encourage them to help collect and add recycled materials to your collection each week. If you are a classroom teacher, you can explain the concept of a Inventor Supply Lab to your parents in a letter. Here is a sample letter that you may consider sending. Please feel free to adjust it as needed to fit your classroom needs. I am so very excited to learn and grow with your child this year. In addition to our traditional curriculum, we are going to be adding in some STEM challenges throughout the year. We could use your help in collecting and sending in clean materials for the children to use. These materials will be shared and will not be returned to you. packing supplies such as foam and bubble wrap. Make sure to ask your child about their inventions throughout the year. That’s right. If you have collected the materials and have excited children, now is the time to USE it! Make a point to schedule in some building and design challenges at least once a week. Look for STEM challenge ideas on the internet. Notice a problem in the world around you and design a solution. We have a STEM lab area. The kids love it, but we go through insane amounts of masking and duct tape!